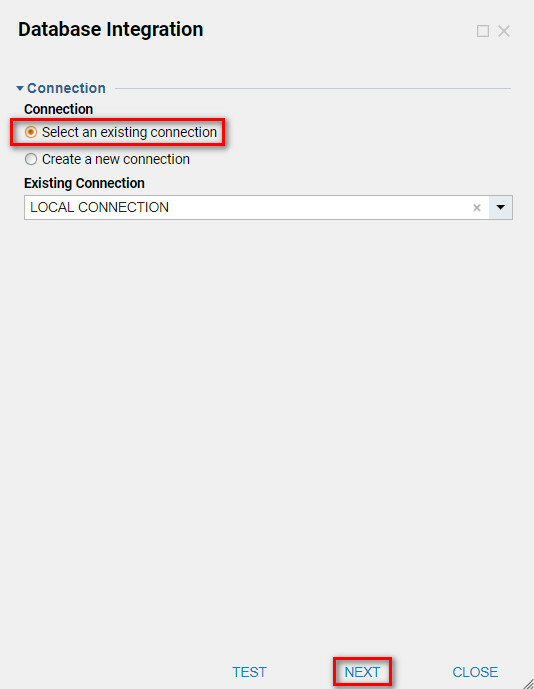 On the Database Integration dialogue in the Connection section under connection, select the radio button next to Select an existing connection. Choose Next	to continue. 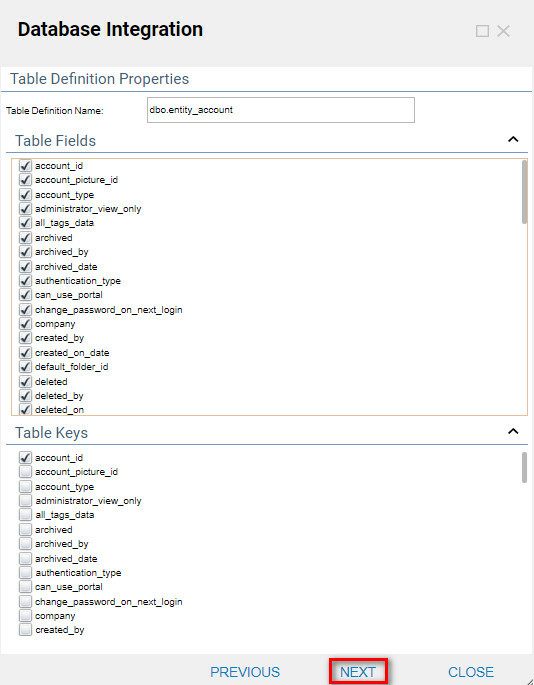 In the Database Integration dialogue under Table Name, choose the database that you will integrate with from the drop down. 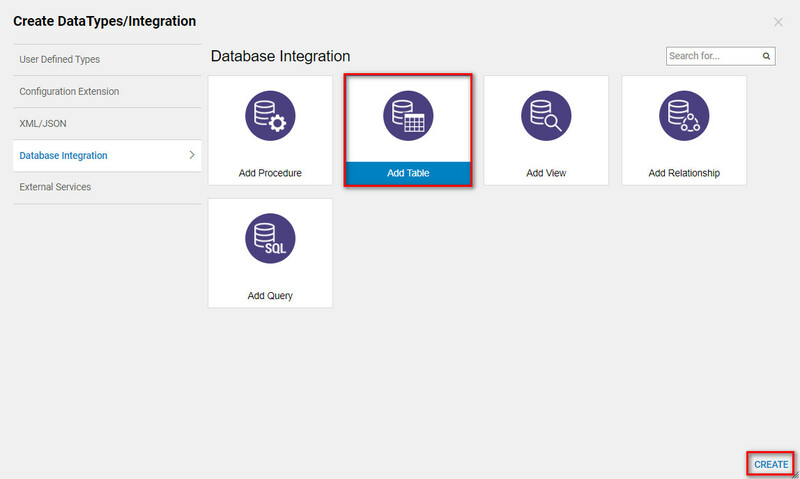 The Database Integration	dialogue will display with all of the Table Fields checked. 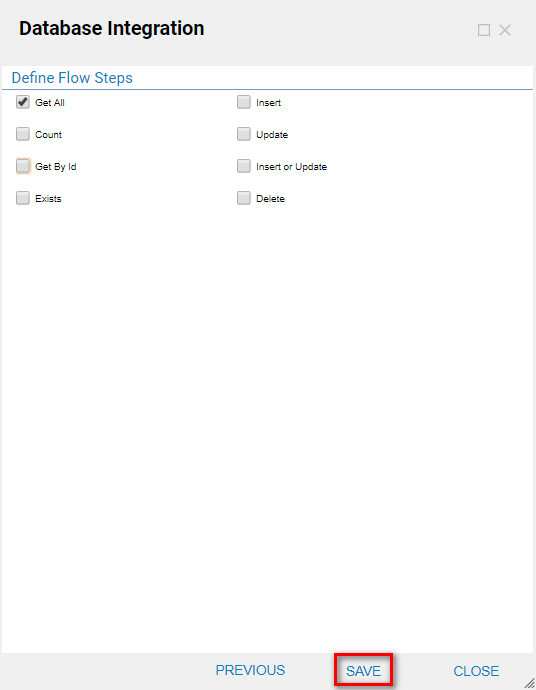 Make sure to uncheck any Feilds that you will not be using (Figure 4). 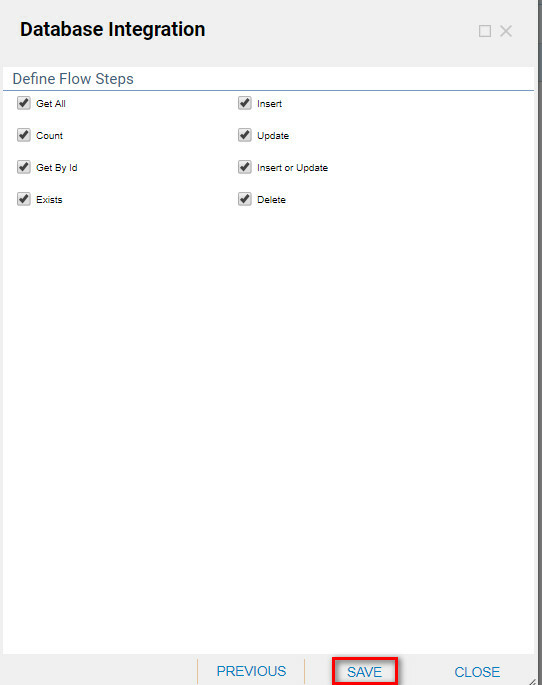 In the Database Integration dialogue, the Get All	step has been selected . 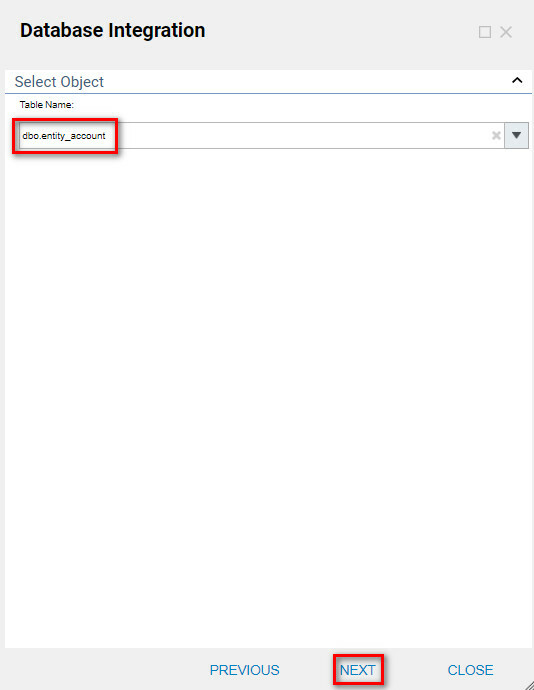 Now the Database Table has been created and defined and the Database entity can be found in the Designer View as seen in the image below .